The freshest summer camp in London! Are you looking for something cool and funky for your kids this summer? 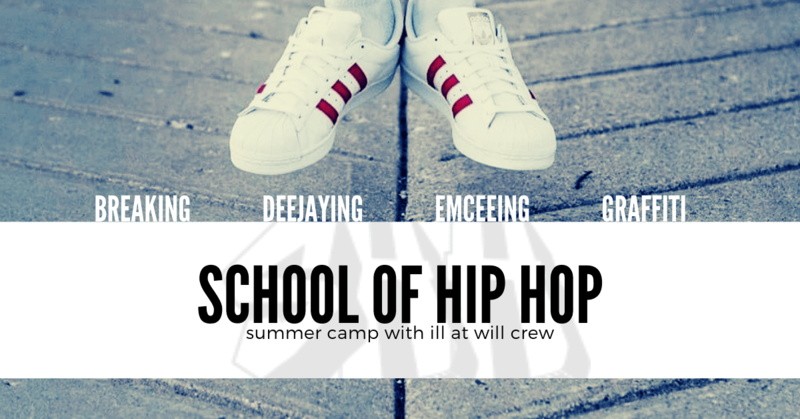 Check out School of Hip Hop with Ill At Will crew – where you learn about #allthingshiphop including DJing, graffiti, MCing and of course, breaking! Early drop-off & late pick-up available for additional $50/week. Please email shhcamp@illatwill.com to arrange. Just a few simple questions to get a student registered for summer camp! Which camp are you registering a student for? What is the student's t-shirt size. Please specify whether it's youth or adult sizing. Please describe the student's allergies or type "none". Describe allergies or type none. What is the emergency contact's relation to the student? How did you hear about School of Hip Hop?